Most of the devices we use are often connected by cables. Usually, such cables are not well organized and are twisted or are fallen on the floor with the weight of the cable. Many attempts have been made to prevent that, but mostly those are not effective. 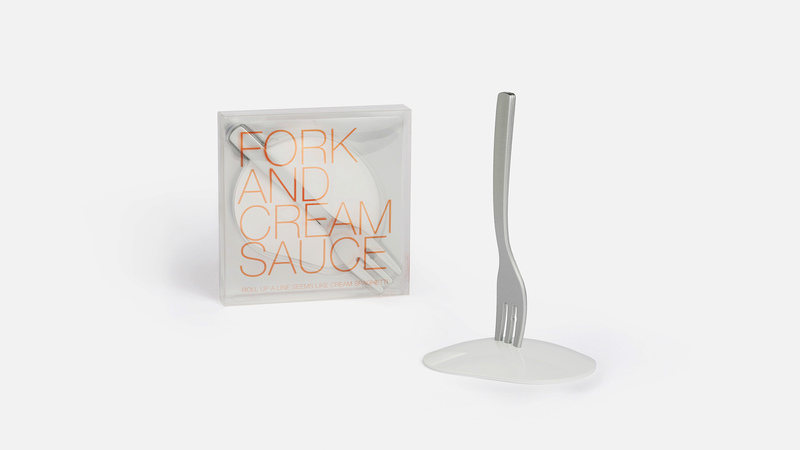 Fork and Cream sauce is a product to fasten the USB cable or mouse cable which you see in your daily life, with rolling up like spaghetti that like spaghetti. Lift the cable that has been left out and roll It up to the fork as if you are eating spaghetti, and fix it on the cream sauce base. Fork and Cream sauce gives you a wit you can go back to forgotten childhood. With this product, you will be pleased to be able to imagine another time with a simple cable. Especially, it might be a good idea to make young children access to artificial cables from different perspectives.